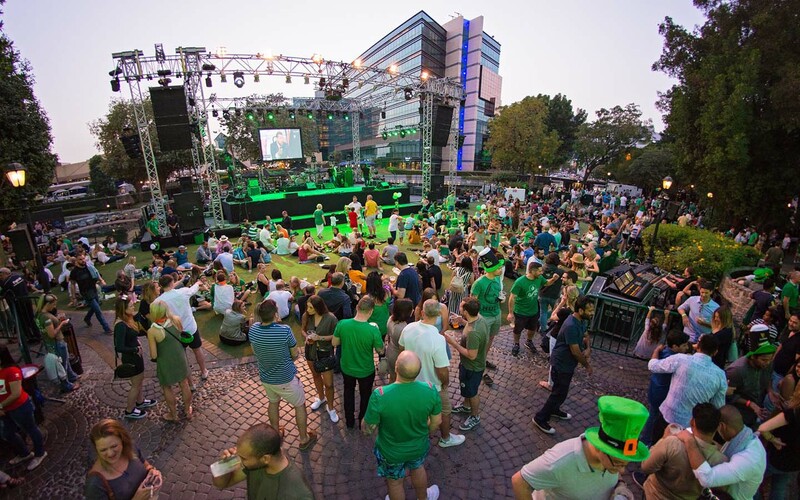 10 Places to celebrate St Patrick’s Day in Dubai 2019! St Patrick’s Day is just around the corner – and that gives us every reason to celebrate! This weekend, Dubai will come alive with events and celebrations taking place across the city’s hotspots. Whether it’s family friendly fun, hearty brunches or live performances by Irish bands you’re after, Bayut brings you the best places to celebrate St Patrick’s Day in Dubai 2019! 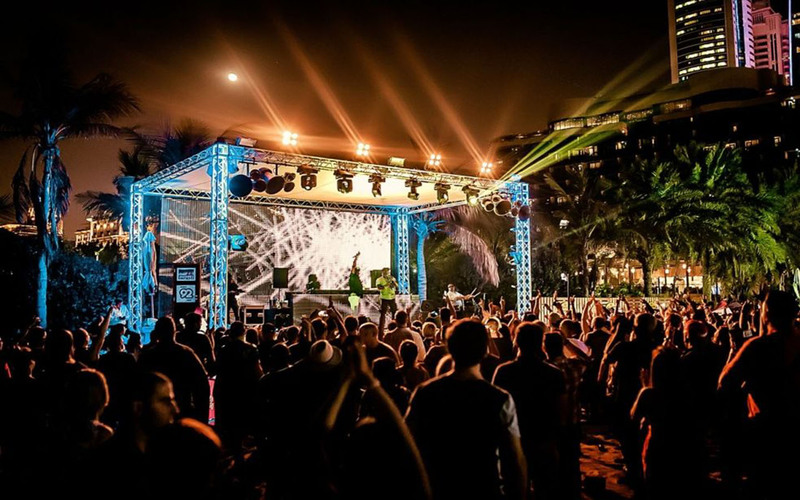 Come and celebrate St Paddy’s Day in Dubai 2019 at the city’s hottest beach club – Barasti Beach! Feast on a scrumptious late Irish breakfast that comes with three refreshing beverages. Enjoy the cool weather while Conor Dineen and Barry Maher provide the Irish tunes, and take advantage of the offers on selected drinks, for AED 33! There are also Irish dance performances to look forward to, and in the evening, get your Irish pride on during the live Six Nations Wales vs Ireland match! Calling all Irish people! Enjoy a free pint this St Paddy’s Day at Courtyard by Marriott. 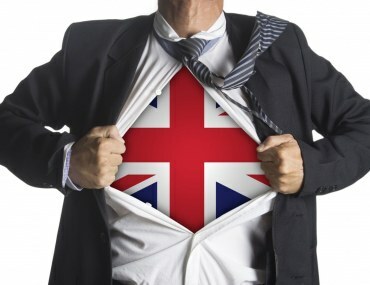 Bring your passport along with you – and you’ll get a free pint! You can also catch live screenings of the Six Nations rugby matches at this relaxed gastropub. Irish Village will be flying in The Logues and The Real Shindig for a three-day non-stop celebration! Nobody does St Patrick’s Day in Dubai like Irish Village – and this year is no different. Irish bands ‘The Logues’ and ‘The Real Shindig’ are being flown in from the Emerald Isle, especially for the celebrations. There will also be plenty of family fun including bouncy castles, petting zoos and face painting. Traditional Irish music and dancers will complete the Irish Village St Patrick’s Day 2019 celebrations! Find out more details on the Irish Village website. Black Tap is coming out with another one of its iconic Crazy Shakes for St Paddy’s Day 2019 – and it’s all things green and sweet! The Lucky Charms Shake will feature cupcake icing, gold chocolate coins, Lucky charm cereal and rice crispy deliciousness. Available across all Black Tap outlets, it’s the perfect way to celebrate St Patrick’s Day in Dubai 2019 for those with a sweet tooth. Want to take your St Patrick’s Day in Dubai 2019 celebration up a notch? The elegant Seafire Steakhouse at Atlantis the Palm will be offering a special menu, in honour of St Paddy’s Day. Expect to dine on superb Irish produce, including savoury doughnuts filled with delicious short rib stew, along with succulent John Stones beef tenderloin. Complimenting the six-course set menu is a range of special Irish themed cocktails, to get into the true Irish spirit. Looking for family-friendly St Patrick’s Day events in Dubai? Celebrate against the backdrop of Jumeirah Golf Estate’s lush green courses. A scrumptious brunch awaits you here, complete with live BBQ and all-time favourite Irish dishes like stews and pies. Live bands and plenty of family games and fun makes it the perfect place to enjoy Paddy’s Day in Dubai 2019 with the little ones. 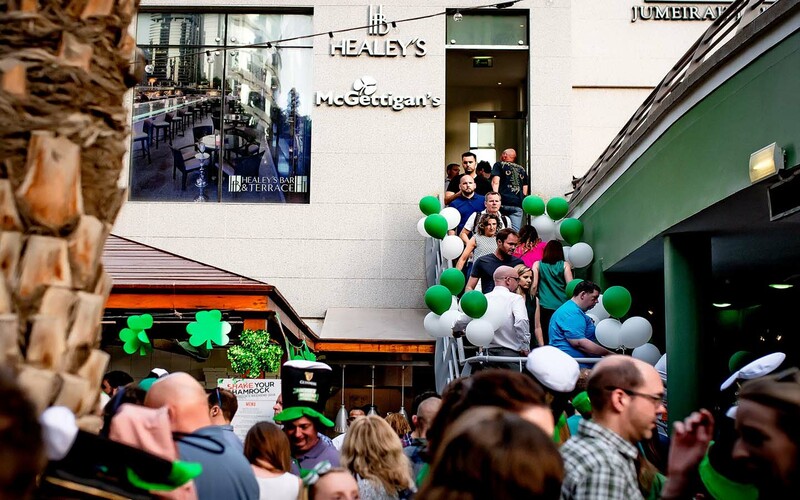 Experience four days of action-packed Irish craic at McGettigan’s JLT. From live performances by acoustic band Hermitage Green to folk/rock band Altagore, McGettigan’s St Patrick’s Day 2019 events are setting the bar for celebrations around the city! Keep an eye out for the delicious breakfast, brunches and refreshment deals throughout the weekend. There’ll be Irish dancers and live music to set the festive vibe, and don’t forget to catch the live showing of the final round of Six Nations on March 16! Find out more details on McGettigan’s JLT website. Head to this JBR hotspot for some lively St Patrick’s Day Celebrations in Dubai! Girders Garden – a cool sports bar featuring a garden terrace theme – is holding a fantastic Irish-inspired brunch with classic dishes like lamb stews and steak pies. Jump into some Irish fun with themed competitions and a buzzing vibe. And because it’s so nice, you can do it twice! The package will run again in the evening for the night owls and partiers – or those who couldn’t get enough the first time. Get into the true St Paddy’s Day spirit with the Irish rock band, Hothouse Flowers! They’ll be performing for Paddy’s Day at one of Downtown Dubai’s premier attractions, Dubai Opera. Watch them rock the stage with hits like Feet on the Ground, I Can See Clearly Now, Give It Up – along with other jazz and rock numbers. Each live performance of Hothouse Flowers is an unforgettable, unique experience – and it’s the perfect way to celebrate St Patrick’s Day in Dubai 2019. This Irish pub-and-restaurant near Dubai International Airport is pulling out all the stops for St Patrick’s Day 2019! The Dubliner’s will be hosting a two-day long celebration – and it doesn’t get much better than this. Expect live entertainment, Irish dancing, fun competitions and so much more. Tuck into hearty specialities and finish off with traditional Irish drinks. Watch out for special food and drinks offers throughout the weekend, too. This weekend will be abuzz with St Patrick’s Day in Dubai 2019 events, special menus and more! Which festival in Dubai would you like us to cover next? Send us an email at social@bayut.com. And stay tuned to MyBayut for more articles on Dubai’s events and festivals! 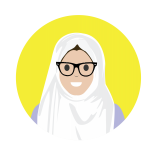 Raised in Dubai, IR is a voracious reader with a knack for writing and a love for cats. When she doesn’t have her nose in a book, you’ll find her catching a movie, baking or dreaming of her next travel destination. 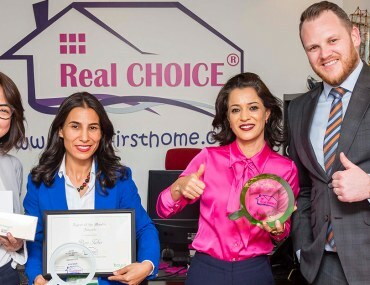 Dubai Agency and Agent of the Month for January 2019: Congratulations Real Choice Real Estate & Rym Taher! Abu Dhabi Agency and Agent of the Month for October 2018: Congratulations Khidmah and Fawzi Al Naimi!